not included) by Wiley Valentine in Irvine. with dupioni silk ribbons. $8.50 each (includes jar, salt and label) by Posh Paperie in San Diego. 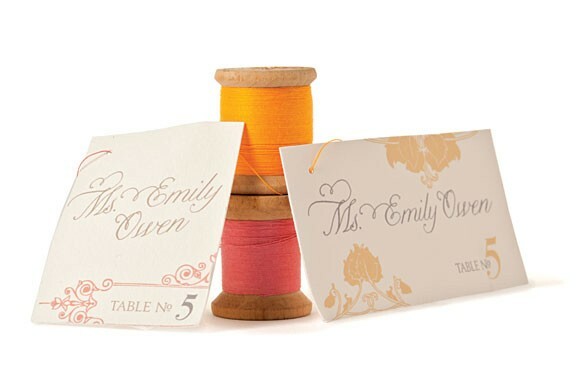 letterpress cards (pillow box extra) by Mae Mae Paperie in Lancaster. each (includes chalkboard, ribbon and assembly; plant not included) by Copper Willow Paper Studio in Culver City.